Squishy is back! and I, for one, couldn't be happier. I simply adored the debut book in this series, and in this second book, Ava and Squishy are planning a fabulous day of action-packed fun. Only trouble is, Mum insists they need to go run some errands. Fun spoiled. Ava tries to get out of it by insisting Squishy is sick, but Mum again kyboshes that by saying Squishy can stay home. Reluctantly, Ava and Squishy jump in the car. The two would MUCH rather explore the forest, but they nonetheless head off with Mum, ending up at the supermarket. Boring! To make it fun, Ava and Squishy start a race--with less than peaceful results. Author Pip Jones gives Seuss a run for his money with delightfully rhyming text very young readers will love. An action-packed storyline that's a whole lot of fun and a wee skerrick of naughty, will have kids giggling along the way. Pages are also packed with divine, monochromatic illustrations that lend naught but sheer charm to an already thoroughly charming story. This is one of my favourite junior fiction series ever. Ideal for new chapter book readers and older kids struggling to read. 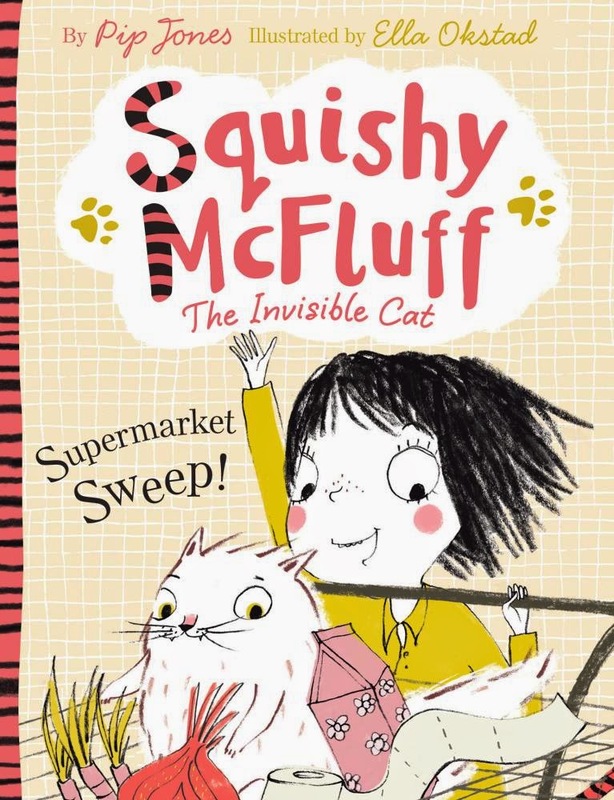 See our review of Squishy McFluff: The Invisible Cat, and a video, here.